Connecting engaged couples to their local wedding suppliers. Established in 1993, Celebrated Affairs has become the largest, independent wedding exhibition company, with shows in the Surrey and Middlesex area. 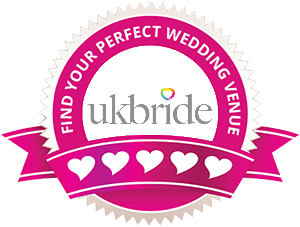 Having held hundreds of wedding shows over the last 21 years, we are well known within the area for organising professional wedding shows, with some of the best attendances, at the most prestigious venues. Through our knowledge of the industry and understanding of our exhibitors needs, we are able to promote successful events, with an increasing wedding supplier base. We have worked with over 800 companies in our time, with a lot of our current exhibitors having exhibited with us for well over 10 years. You can expect a personal, professional and friendly service. We have a dedicated team on the day of each event to help you with any queries, as well as registering brides, producing bridal bags and helping couples. Celebrated Affairs works passionately to promote companies within the wedding industry. This is a family company headed by Spencer and Anita Mansell. "On a personal level, we enjoy the relationships with the many exhibitors, who have become our friends. There's nothing more rewarding than to see another new company flourish and another friendship develop." We are always looking for new companies to join us at our great exhibitions, despite how large or small your company, we treat all exhibitors the same. Get in touch today on 01895 251000 or see the Contact Us page.